Our visit to the Pennoyer Centre in Pulham St Mary, Norfolk has opened a rich seam of imagery and information to help tell the story of N.S.11 and the North Sea airships. On a large interactive screen we were taken on a tour of some of the centre’s archives by the wonderful Sheila Moss King. The recently acquired George Wakefield images are stunning in their quality and detail. 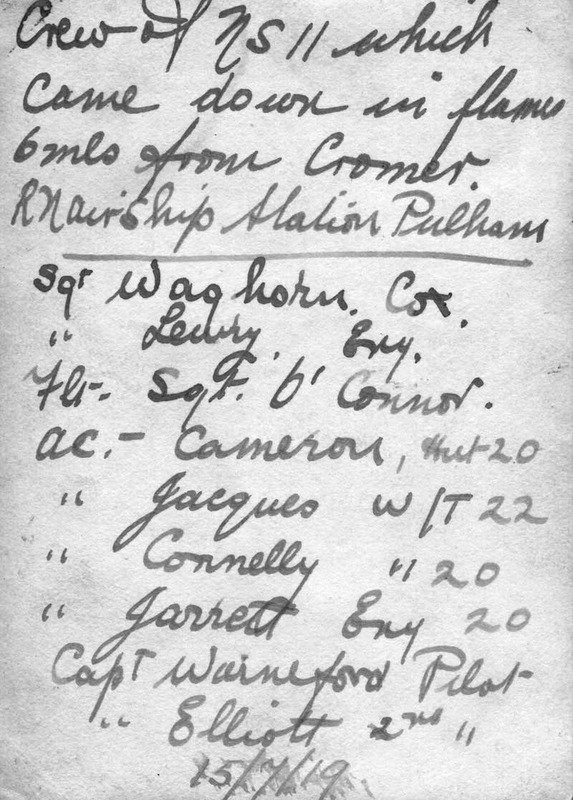 From other parts of the archive came two new images of N.S.11. One shows the airship over the accommodation huts (most probably during June or July 1919). 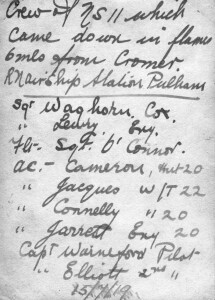 The rear of the photograph lists the crew that was lost on 15 July 1919. The second photograph is captioned “N.S.11 over the sea, starboard side”. While not in the best condition, the atmospheric photograph does clearly show what is probably one of her engineers sitting between the engine car and the starboard FIAT engine. This photograph can be seen in the NS11 Gallery. We thank Sheila and the Pennoyer Centre for allowing us to show these wonderful photographs.